The 2010 census indicated that over 31% of the population in Princeton is age 50+. Residents have successfully advocated for many features that support aging in this diverse community. These include the Princeton Senior Resource Center (PSRC), a vibrant non-profit providing programs and services to older adults and family caregivers, including activities that address physical, social, cognitive, emotional, spiritual well-being with purpose and dignity. Over 1300 people per week from Princeton and the surrounding communities attend programs and receive support services. Especially popular are the Evergreen Forum lifelong learning program and GrandPals, an intergenerational volunteer program. The Public Library is a vibrant community hub, popular among older adults. In addition Princeton has a Crosstown door-to-door car service for a modest fee and FreeB jitney service available to everyone without cost six days a week; low income senior housing; Community without Walls (a peer virtual community); numerous parks and cultural activities; to name but a few of the features of this community. Downtown Princeton is a very walkable community. Older Princeton residents make a significant contribution as volunteers for many non-profit organizations and governmental commissions, including current efforts toward bike-ability and sustainability. Princeton prides itself on adopting innovative and progressive policies for the long-term benefit of all residents. 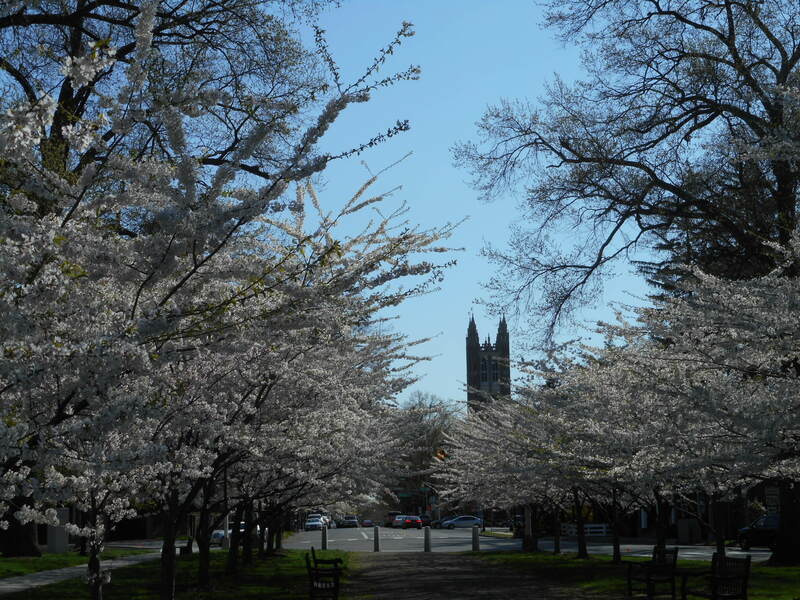 Princeton joined the WHO Global Network of Age-friendly Cities and Communities in 2014. The Task Group has completed a profile of Princeton seniors and conducted focus groups. It is currently preparing an assessment and action plan. Princeton Senior Resource Center (PSRC) is taking the lead in this process using a senior leadership model that involves older adults in all stages of assessment, plan and implementation.